Please click on the category of photography you’re interested in to view the full pricing menu. I specialize in working with Families, Seniors, and Newborns. Session Fees start at $200.00. Product packages to add to session fees are also available and start at $800.00. A minimum $1000.00 investment is required for your custom portrait session.  An average Winnie Bruce Photography client invests $1000 – $3500+ in their custom artwork. Hair and Makeup services are available and start at $175.00. All session fees and packages will incur a 6% MD Sales tax. It’s really easy to book a session with me! Just send me an email through the contact tab, and we will get you set up! A session retainer is required to hold your date, and a package is required to be picked at the time of signing. Package fees are due one week prior to session. My style is on its own playful, serious, mysterious, and whimsy at the same time. My style is organic. I enjoy a matte + film look to my images. I like spending a good amount of time with my clients. I like to be able to offer a break in between if needed, but also to have a certain pace to not make the event stressful. I will shoot the funny, the sweet, the love, and even the sadness. I want to capture what’s you. A session retainer is required at the time of booking. During your contract signing, WBP does require a product package to be chosen. This product package fee won’t be due until one week prior to your session. I’m located in Crofton, MD, 10 miles outside of Annapolis, MD. If your babe likes to run around, so will I! I love photographing kids just the way they are. Though I will toss in a couple of posed shots in there, majority of our time will be snuggling, cuddling, and running around. It’s the best way to capture how they are! Your proof gallery will be ready 14-18 business days after your session. From there, we can schedule an in-person ordering session, or you can order online too. It takes another week or so to get your products depending on what you order. Pinterest is such a great place for inspiration! I myself enjoy it so that I can find photos and blogs that can help me out with my everyday life. With boutique photography though, I do enjoy creating unique to you images! I myself even strive to not create the same two images for different people. Part of you hiring me as your story teller is that I promise to create images that best show you off, and I do this by observing the organic. This way, we produce images that are sincere and not contrived! As an alternate, I suggest browsing through my blog and social media pages, and showing me which images you are drawn to instead. I book typically 3-6 months ahead, and even sooner during the Christmas season. If you are expecting, I highly suggest booking as early as possible. I do maternity sessions between 28-36 weeks of pregnancy, and newborn sessions are best done between 4-14 days. My client can really be anyone, but it’s anyone that’s willing to get out of the norm. I am the perfect fit for a family, a high school senior, or the couple willing to embrace the moment. I am the photographer for the clients that are willing to go on a whim, and just go with the flow of the moment. I will be the right photographer for the client wanting something different, and relaxed. Someone who values perhaps the traditional, but can also bend the rules and go and try new things. The session retainer does not include any products. The session retainer covers Winnie’s time and talent, post-processing, delivery of a gallery of minimum 40 images (including black and white images), and travel time. This also includes in-person viewing appointments. I offer payment plans. I understand that photography is an investment, and I want to make sure that I can cater photography needs easily. I also do offer a loyalty discount, and referral discount. Please ask for details. An outdoor session lasts 1 hour, and a newborn session lasts 3-4 hours. I will present 40-70 images in your gallery, this includes both color and black and white photos. These are the images that have met my standards in the quality of images that I want to present to you. These images will already be fully edited to my signature editing style.